Becoming a dad, is one of the most important things men will do in their lifetime. It’s a time of radical change on many levels. A journey of celebration and connection, but also for some men a time of anxiety and uncertainty. Understandably, Doula’s and birth professionals play a significant role in supporting dads. You are often the key to helping men in their transition to fatherhood. Supporting their confidence and building new skills before, during and after child birth. Working with men and expectant dads is a specialist skill set. However, can often remain a gap in the education and experience of many childbirth professionals. It begs the questions… what are the crucial elements to men’s birthing experience? What is the essential knowledge you need to support dads? And how do you serve dad, as well as mum and baby? This interactive and experiential workshop will focus on these key questions, highlighting the practical challenges and essential skills needed by Doula’s. It will share in the celebrations and explore the challenges of Doula’s work with expectant dads. It will help build relationships with men, providing them a stronger platform to navigate their birthing experience with confidence. Essentially, this workshop will empower you as a Doula with greater awareness, knowledge and skills to make a deeper impact with the men you are supporting, the woman who are birthing and ultimately the families that you are called to serve. Sean Tonnet is a passionate father of two and a partner of 15 years. He is qualified and experienced Relationship Therapist working in the Northern Rivers with over 12 years work in supporting couples, parents and families. After the birth of his first child, Sean developed a successful Transition to Fatherhood program that was adopted in two major hospitals in Sydney as part of the pre-natal program. Since then his passion for work with men and parents has seen him become a facilitator for the Expecting Dads program, Tuning into Kids/Teens and a consulting therapist for Heart to Heart parenting program. 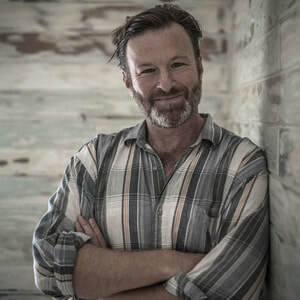 More recently Sean has become a presenter with the Pregnancy Birth and Beyond Radio Program in Byron Bay creating programs that engage men and fathers. He has written articles for My Child Magazine & Northern Rivers Family Magazines on parenting and his work with dads was reviewed on channel 7 Sunrise program.